I like to have my Hanukkah shopping done before Thanksgiving. Why is it I'd always get frustrated with the Christmas ads & decorations dominating the stores that early? It seams like Thanksgiving gets skimmed over and people are concentrating on materialism & commercialism, forgetting to be Thankful for all they already have. While it still saddens me, I have come to realize there is a practical aspect too. If I can get my shopping over & have most of my homemade gifts made or started, I can better enjoy Thanksgiving and the activities afterward. Today I want to share a few things with you that may help. First, for a bit of History. The wise men probably visited Y'shua (Jesus) around the Feast of Dedication (Hanukkah). They followed the the Light of a special star and presented Him with gifts. When HE was older, during HIS ministry on earth, HE visited the Temple during this feast. (John 10) The pagan "Christmas" practices didn't begin enter the Church until 311 AD. Most of western civilization has grown up with it though and they are hard traditions to give up. Something I try to keep in mind is if the wise men gave gifts to the King of Kings, it's not wrong for us to give gifts to each other. Matthew 25 tells, "And the King shall answer and say unto them, Verily I say unto you, Inasmuch as ye have done it unto one of the least of these my brethren, ye have done it unto me." This is a wonderful time to teach children giving AND thankfulness. Organizing for the holidays helps keep stress at a minimal. Holidays should be fun, not a source of frustration. Any other time of the year, most women love the idea of shopping, but this time of the year can be filled with a lot of pressure. Baking fun treats is always fun, but what a mess to clean up! 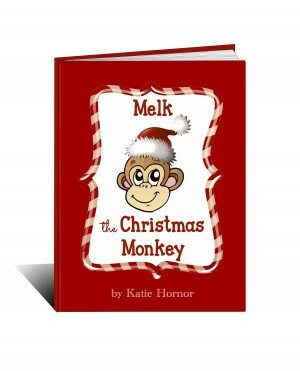 Melk the Christmas Monkey is a fun alternative to the popular 'elf on a shelf'. 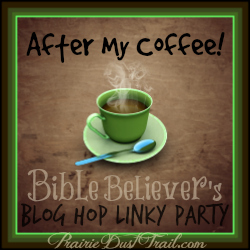 Katie with Paradise Praises has created a way of Teaching God's Character through Bible Lessons and Christmas Activities the Entire Family Can Enjoy. Choose from 30 fun Bible lessons and activities that the entire family can enjoy during the Christmas Advent/season. The activities could also be easily adapted for a Sunday school class or Children’s Bible club. Over 100 pages including access to customizable letters to your children from their Christmas friend and many other free downloads and printables. Adaptable for Kindergarten through sixth grade, this reproducible book provides study resources that are appropriate to use with one child or with several of different ages, giving them a virtual tour of these30 countries and a greater understanding of and burden for their people.